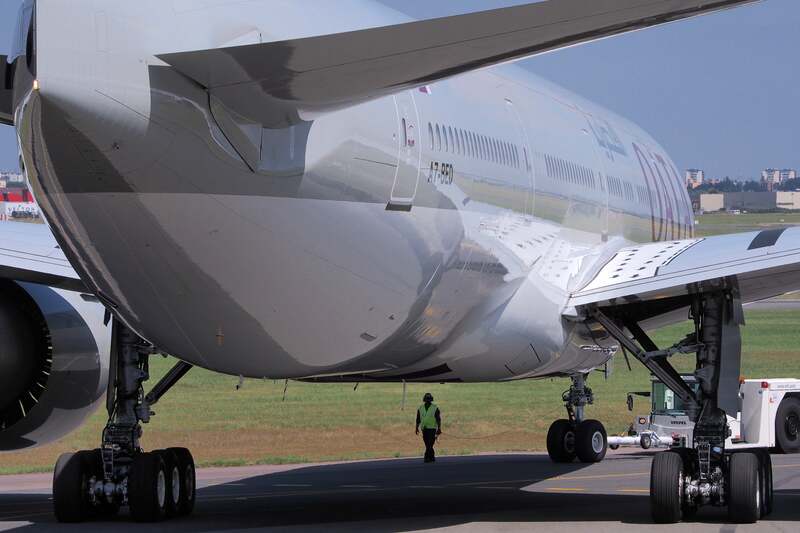 When you ask journalists which planes they’re most excited about seeing at the Paris Air Show, you might hear about Boeing’s extended-length Dreamliner, the 787-10, or maybe Embraer’s E195-E2 regional jet, with its aggressive-looking eagle paint job. 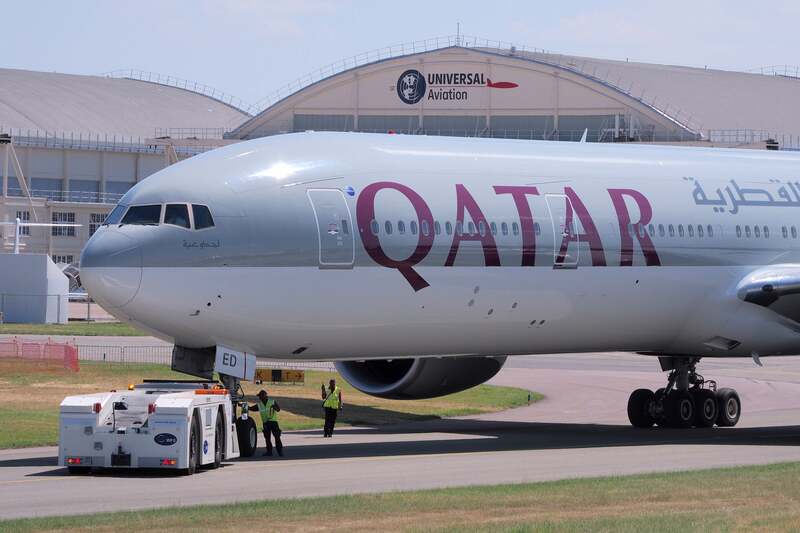 But for me, the choice is clear — I’m most excited about Qatar Airways’ 777-300ER, which just arrived at Le Bourget. The reason? 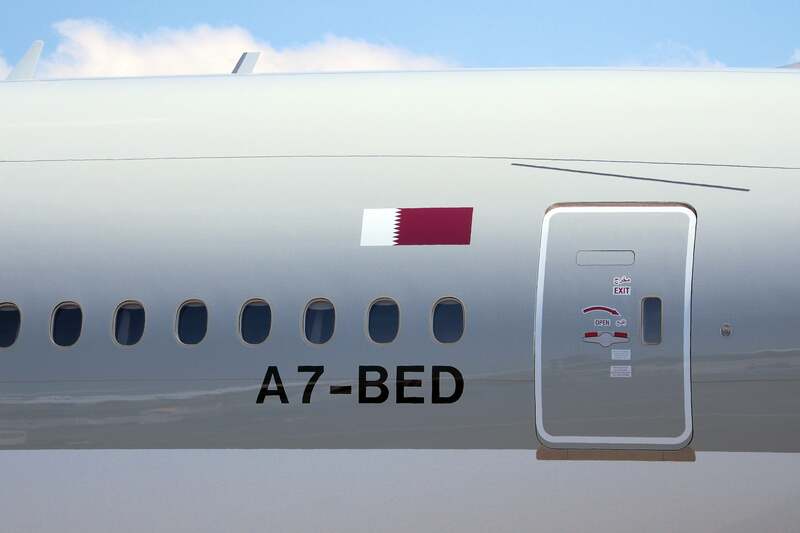 This aircraft, A7-BED (get it? BED! ), is Qatar’s first to sport the new Qsuite business class product (see here for the mock-up tour), and while the airline confirmed that it would be at the show, we were also expecting it to begin operating flights to London on June 10 — and were left disappointed (so, until today, it seemed possible that Qsuite wouldn’t actually make its scheduled PAS debut). I haven’t managed to get on board just yet (despite a couple attempts), but it’s clear that we’ll get a look sometime tomorrow. For now, our Qsuite mock-up tour will have to do — we’ll get to see the real thing in less than 24 hours. 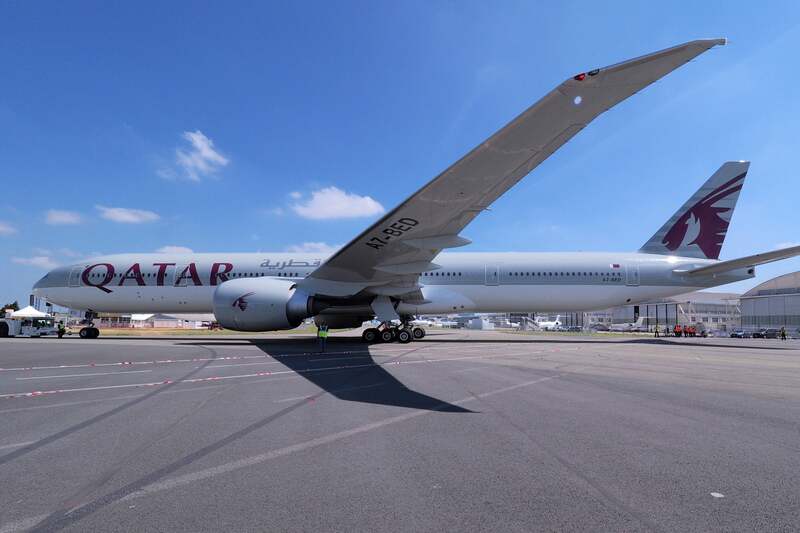 Have you booked a flight on Qatar’s Qsuite-equipped 777?